to take the points and determine the boundary of something. A meaningful measure of extent.  Noun and verb: the measure of and to measure. which is also a talk you may listen to. Materialism, our focus is on substance: bones, shells, rocks and stuff; the stuff conceived and born in the fusion of stars. Otherwise known as "bodies" in the 17th century, quarks, atoms, molecules, tissues, organs, organisms and species. Evidence, we desire to account for the pieces of information both relevant to and descriptive of some larger process that can – ever mindful of Occam's razor – explain the necessary and sufficient reasons for this living world in all its variation. Theory, drawn from all of the evidence, including anomalies, this formulation must be subject to negation; that is we should be able to disprove it now or any time in the future with sufficient evidence to the contrary. For example, discoveries in genetics could have made Darwin's ideas obsolete, but instead DNA evidence supports evolution by means of natural selection. 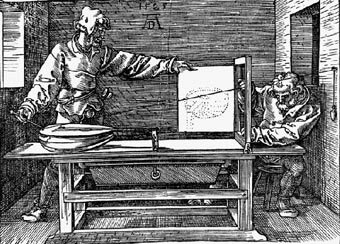 This means that by discovering necessary contradictions that shed some light on the methods careful researchers have to explain the inexplicable variances from the rule. Like all theories in science any hypothesis and all observations are allowed to be disproved. Essence, the essential quality of life that accounts for change,variation and mutation. With respect to all living things we refer particularly to a molecule that is at once self replicating, able to change and yet, adapt to different versions of other DNA molecules. 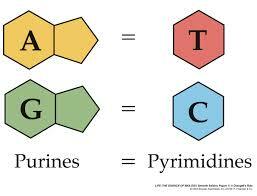 The four base pairs of DNA that allow for stability, yet do not discourage alterations, are made of Purines ( A is for adenine & G is for guanine ) and Pyrimidines ( T is for Thymine & C is for cytosine ). 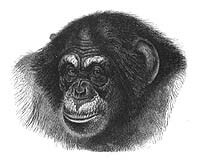 These notrogen bases pair up in the DNA. Yet another essential quality is found in RNA, or ribonucleic acid. Within every cell of the human body and within some organelles of these cells, like the cells of all organisms there exists three ingredients: DNA, RNA and proteins. 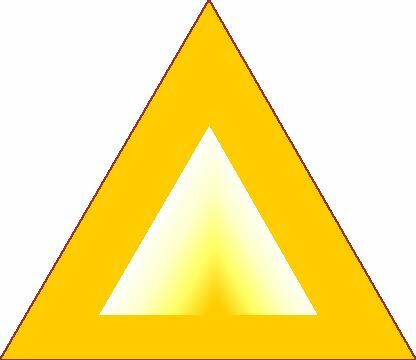 Life is an amalgam of the work of all three of these highly variable molecules in that all three must be present in sufficient mass to enable the miracle of life to persist. These three ingredients, together, may be thought of as a dance troupe in that the DNA is the choreography (a sort of script describing where and when the steps are taken), or choreographic script. The RNA is the choreographer and the experienced dancer who can demonstrate and arrange how the steps come together recognizing from time to time when a misstep occurs to correct the error. 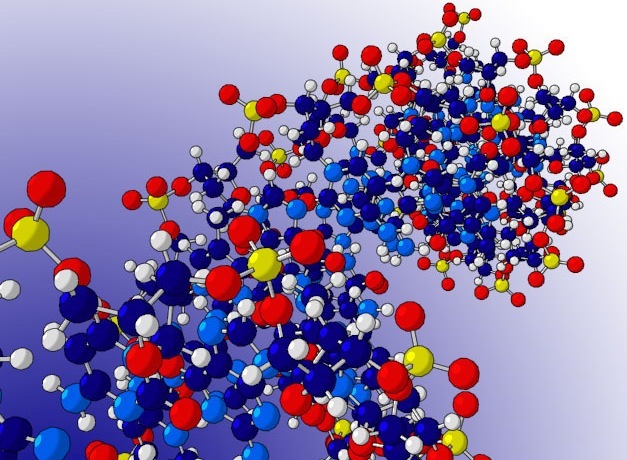 DNA is a very stable, yet variable molecule that serves as the score, recipe or script, for the heritable instructions for RNA to guide in forming proteins. The RNA pairs to the DNA as if one strand was an active partner of the other. DNA and RNA are what may be called the particulate materiality of inheritance. They [RNA & DNA] both are responsible for the many performances we see all around us. We call these performances "proteins" that facilitate all the processes of life. Three parts cooperate together. The proteins, RNA and DNA are three essential pieces in the particulate materiality of heritable processes such as respiration, thermoregulation, hormone secretion, or photosynthesis. These pieces of DNA that partner with RNA and are put together by specified proteins have the capacity to design other proteins that regulate life, construct parts of living cells, and reuse – in endless variety – the many sources of materials living organisms need to persist. 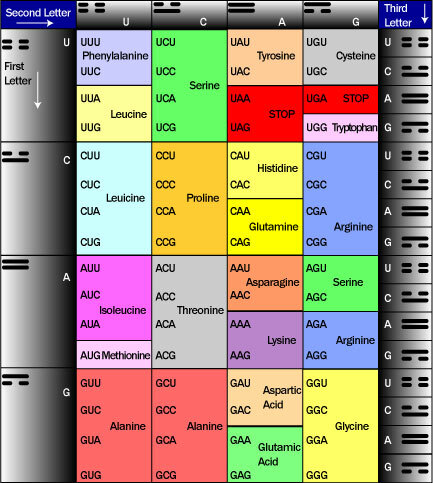 The proteins that are specified by the particular order of the amino acids that depend on the particular arrangement of the four base-pairs of nucleic acids. Proteins are assembled by the RNA from the DNA recipe or script, hence the proteins are the performers – the dancers – the dance troupe if you will. These proteins, as assembled by RNA are informed by DNA. A different way to conceive of the relations among the unseen players in the process of inheritance. Choreography means the study of the art of dance and the actual written descriptions of how a dance is to be performed, like sheet music for a musician. Choreographer, like a director, is the one responsible for interpreting and altering when needed the recipe for the dance, or the script. Performance is the actual creation of what is choreographed by the director as based on the script, or recorded patterns of the dance. The vital parts in the dance of life. Genes are the performers – the dancers – the dance troupe if you will. 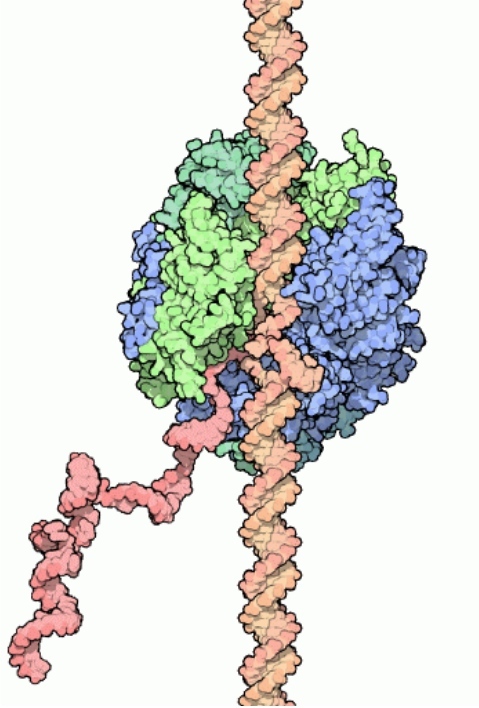 These proteins, as assembled by RNA are informed by DNA. Darwin never knew that these macromolecules called nucleotides, amino acids, and proteins were largely responsible for the enormous variation he recognized at the core of natural selection. 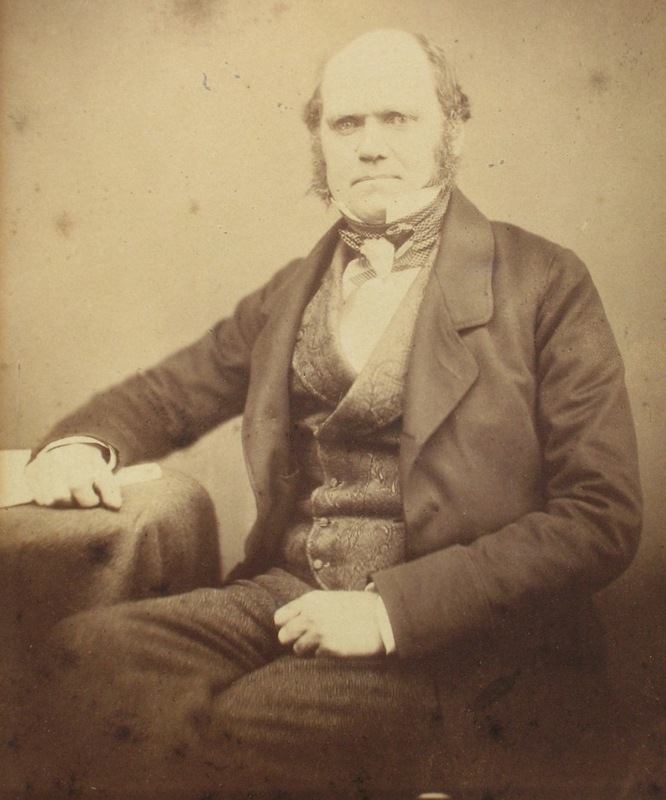 Charles Darwin labored long, lovingly and laconically over his specimens collected from all over England and around the world from his experience on a Royal Navy survey ship, the H.M.S. 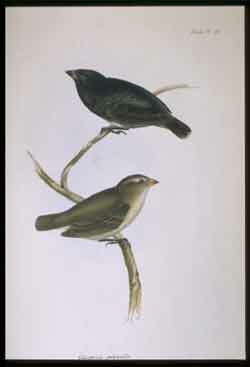 Beagle, from 1833 until 1836. Upon his departure he had believed that the world was a expression of the wisdom of God manifest in the flesh and blood of the thousands of living, chirping, crawling and seething beings that daily buildup, maintain, redesign and destroy the various parts of our living planet. 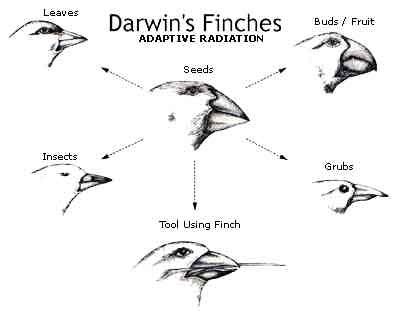 Darwin quite often changed his mind, or was less than emphatically and explicitly clear about some crucial ideas. For instance did he really agree with Lamarck that traits acquired by an organism could be passed along, or was he a strict believer in hard inheritance – that is to say you only inherit what is chemically transmitted in the egg and sperm from your parents? He remained a believer that nature was the manifestation of God's wisdom, but he profoundly altered his depth of understanding of exactly how detailed and precisely how mysteriously the creator God had sculpted the living world. 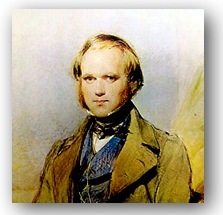 As he stepped ever more distantly from a simplistic and superficial comprehension of scripture, Darwin discovered that all life arose from common ancestry, that it was based on populations, not some typology of forms, and that deep in the geological past there – harbored in the rocks of ages past – were the necessary, if not sufficient, pieces of a vast puzzle that could be used to explain his assumptions. 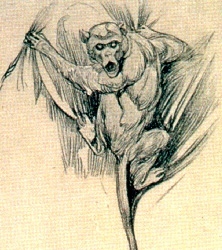 His assumptions were based on findings that any examination of present living species could also reveal; he sensed a powerful force for alteration. Darwin knew from reading that over an immense span of time – a temporal span far longer than even physicists then acknowledged – the Earth had nourished a variety of life. He now speculated from the evidence he saw, collected and shared with specialists in the Linnean Society that all life on Earth was forever in a constant state of unguided – or self manifest – variation.